Stefano Isetta obtained a Bachelor degree at the Bocconi University of Milan in 2015 in Economics and Business Administration. In 2016 he held a period of 5 months in India at the Indian Institute of Management (IIM) taking part in the Exchange program. During this period he attended several courses of the Post Graduate Program including the Project Management course held by Professor Sushil Kumar to deepen the issues related to project management. In February 2017 he began working as a consultant in a company, based in Milan, specialized in the implementation of ERP systems where he learned about the issues and features related to this type of projects. 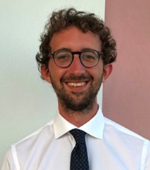 In March 2018 he obtained a Master's Degree in Management at the Bocconi University in Milan with a thesis project entitled "Agile Methodology in ERP system Implementation".